Snow & Ice Roof Leak Repair | Emergency Services | Homestead Roofing Co. Snow on roofs may look pretty on your holiday cards, but it’s nothing to smile at when it happens to your own roof. If ice and snow are allowed to build up on your roof, this can lead to serious structural damage—and expensive repair bills. If you want to keep your roof sound and your house safe, it’s important to have ice and snow removed as soon as possible. The Homestead Roofing Co. is dedicated to offering both residential and commercial customers the high-quality roofing services they need. Ice and snow can be surprisingly heavy. If you let them build up on your roof for too long without melting, they can cause your roof to sag—and, in extreme cases, they can even cause your roof to collapse altogether. Even melting ice can be a hazard. If the ice melts suddenly, it can lead to the growth of icicles and ice dams along the side of your roof. Melting ice can also leak into your roof’s shingles, causing extensive water damage. Water from melting ice and snow can accumulate inside your roof’s gutters. Ice expands as it freezes, so this can easily cause your gutters to burst or fall off your roof. This can lead to further water damage to your roof as well as pricey repairs. When Should I Have Ice and Snow Removed from My Roof? As a rule, you should always have snow removed if you notice that more than a couple of inches have built up on your roof. You should try to have ice dams professionally removed as soon as you notice them, as they can easily do damage to your property. You may want to act even more quickly if you have a flat roof since ice and snow will more easily accumulate there. Even if your roof is made of a strong, sturdy material such as slate, you should not underestimate the destructive power of ice. Contact The Homestead Roofing Co. 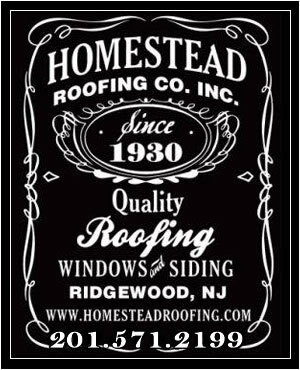 When your roof is menaced by ice and snow, it’s time to contact The Homestead Roofing Co. For more than eight decades, our company has been providing the community of Ridgewood, NJ, with professional roofing services. We work to ensure that all of our customers get the same level of great service, fair prices, and quality craftsmanship. Along with Ridgewood, we serve Franklin Lakes, Saddle River, Glen Rock, and the surrounding areas. We are a family-owned and operated business, and all of our employees are fully insured. To schedule an appointment, call us today at (201) 444-2233. Call today to request a free estimate on any of our services. Emergencies happen day or night. We are here to help! 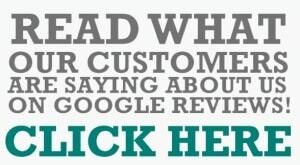 See what our loyal customers have to say about our services. 533 Goffle Road Ridgewood, NJ 07450. ©Professional Ridgewood NJ Roofing Contractors | The Homestead Roofing Co. | 2018 All Rights Reserved.